What is OMG! Oh my Ganna? OMG! 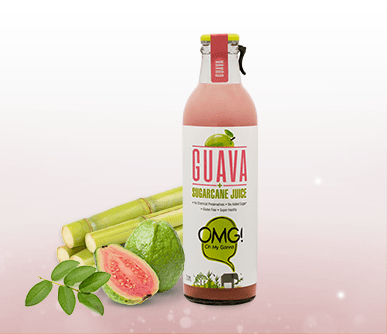 is a bottled natural Sugarcane juice currently available in two different flavours- Ginger, Cumin and Lemon, with a non-refrigerated shelf life of Six months. Is it made of concentrate or pulp? OMG! Sugarcane juice is all natural, containing over 80% juice content, and is not made from any concentrate or pulp unlike most juices available in the market today. Does the product contain any Chemical Preservatives? The product does not contain any chemical preservatives. We use Class 1 Natural Preservatives and a few food additives which are found in common household kitchens. How is the juice processed and preserved? After three years of intense research and development, we have developed our patent pending proprietary process we call Fresh Fusion. This process allows us to offer a product with over 80% natural juice content and a non-refrigerated shelf life of three months without using any chemical preservatives, allowing us to maintain the nutritional values and natural taste of sugarcane juice. It does not need to be refrigerated but OMG! is best enjoyed after refrigeration between 6° to 10° centigrade. Does it contain any added sugar? It does not contain any added sugar and you can enjoy the natural sweetness of sugarcane juice guilt free. What is the net content of the bottle? Our bottle is 250 ml. Rs. 40/- for a 250 ml bottle. What packaging does the juice come in? Our Sugarcane juice comes to you in glass bottles to maintain purity and quality of the juice. As an environmentally conscious company this aligns with our goal to use 100% recyclable packaging. 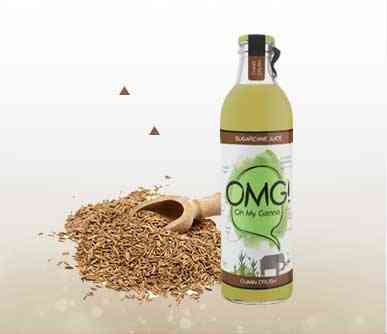 What are the Nutritional values of OMG! Sugarcane Juice? 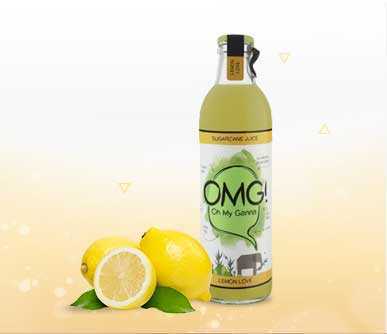 What are the Ingredients of OMG! Sugarcane Juice? Sugarcane juice, Salt, Antioxidant (ins 300), Acidity Regulator (ins 334), Stabilizer(ins 440, ins 337), Water (for maintaining desired brix), contains permitted natural flavour & nature identical co louring substances. What is the calorie content of OMG!? OMG! juice contains 48.96 kcal per 100 ml, which is extremely low in calories as compared to most other drinks, juices and aerated beverages available in the market. This truly makes it an anytime, anywhere drink! OMG! is manufactured at our state of the art juicery in Jhajjar district in Haryana in the most hygienic conditions. What makes this juice OMG!? OMG! was conceived as a mission to make available to the world this yummy, nutritional juice extracted safely and hygienically and bottled with a long shelf life so it can be enjoyed as an anytime, anywhere drink, which until now was only available under unhygienic conditions. After three years of intense R&D, we have developed our patent pending proprietary process we call FreshFusion. This allows us to offer a product with over 80% natural juice content and a non-refrigerated shelf life of three months without using any chemical preservatives while maintaining the nutritional values and natural taste of sugarcane juice. Can Diabetics Drink Sugarcane Juice? Sugarcane juice contains only natural sugar and has a low glycemic index which makes it safer to consume for borderline and type 1 diabetics than most beverages available in the market today. We would, however, recommend all diabetics consult their doctor before consuming it. OMG! 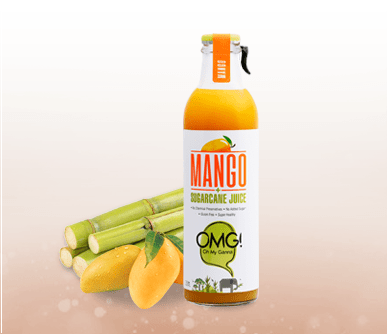 Oh My Ganna Sugarcane juice was launched by Nutricane Beverages Pvt Ltd, a young start up with a mission and passion to offer the nutritional benefits of sugarcane juice to consumers globally. Yes, we are certified and licensed according to the strict quality standards by Food Safety and Standards Authority of India (FSSAI). What are the benefits of Sugarcane Juice? ·It is a natural thirst quencher that best hydrates the body. It helps fight cold, flu and sore throat.